Things people told us that matter to them? WHAT DO YOU MEAN BY OLDER PEOPLE? There is no universal agreement on when old age begins.  The Welsh Government’s Strategy for Older People in Wales defines older people as aged 50 and over, although this has been the subject of much discussion (Welsh Government, 2013). In this section, the majority of the data presented relates to those aged 65 and over. However, to ensure clarity every effort has been made to reference the age range in the statements made in this assessment. The needs of all older people are not the same. Socio-economic status, gender and ethnicity all play a role in shaping people’s needs and outcomes. Equally the needs of older people in otherwise good health will be very different from those people living with frailty and other health conditions. In Western Bay we do not yet measure the contribution that older people make to the region, for example, we do not know how many hours of volunteering they undertake or the contribution they make to their communities. This has been identified as a gap in the population assessment and further work should be undertaken to explore this. In 2015, approximately 6,979 people in Western Bay had a diagnosis of dementia. By 2030, this is predicted to rise by 48% to 10,295. In Western Bay, in 2020 the projected population aged 65 and over is 111,060, of those it is predicted that 50,364 (45.3%) will be living alone. At 11.10% the percentage of females aged 65 and over living alone is more than double that of males (4.55%). This will have a noticeable impact on housing. Approximately one in three people over the age of 65 will suffer a fall each year. The Excess Winter Deaths index compares the number of deaths that occur in the current winter period with the average number of deaths occurring in the preceding months in the same year. These excess deaths are greatest in older people. In the period 2010- 2013, the average annual number of excess winter deaths in Western Bay was 270, deaths in winter were 18.9% higher compared with other months of the year. Older people are major users of hospital care and are the most likely age group to be admitted in an emergency. In Western Bay the rate of admissions in the most deprived communities is 35% higher than in our least deprived communities. Older people are at risk of alcohol misuse following major life changes. In Western Bay, it is projected that by 2020 approximately 11,337 people aged 65 and over will binge drink. A delayed transfer of care occurs when an adult inpatient in a hospital is ready to go home or move to a less acute stage of care but is prevented from doing so.  The rate of people delayed (stuck) in hospital for social care reasons in 2013-2014 is lower in ABMU Health Board than the Welsh average. In 2013-2014 a higher rate of older people, aged 65 and over were receiving social care support compared to the Wales average. Heart attacks are more likely the older people get. COPD is commonly caused by smoking and can reduce the ability for a person to exercise which can lead to obesity and associated risks as well as a general decline in wellbeing. It is projected in Western Bay that by 2020 there will be 1,863 people aged 65 and over with a long term health condition caused by bronchitis and/or emphysema. A serious, life-threatening and life changing condition – most people affected are over 65. In Western Bay, by 2020 it is predicted that 8,691 people aged 65 and over will have received treatment for a stroke. Nearly two thirds of cancer diagnosis occur in the over 65s and one third in people aged 75 and over. By 2020 the incidence of new cancer cases in Western Bay in people over 65 are projected to be 2,380. The British Medical Journal reports that the prevalence of obesity among elderly people in the United Kingdom is higher than among younger people, with almost three quarters of those aged between 65 and 74 classed as obese or overweight. In Western Bay, by 2020 it is projected that 99,840 people aged 65 and over will be obese. A consequence of a population living longer, combined with the trend for the weight of the population to increase their levels of physical activity to decrease is the rise in the incidences of diabetes. In Western Bay, by 2020 it is projected that there will be 32,013 people aged 65 and over with diabetes.  Approximately 8,930 people in Bridgend, 8,752 in Neath Port Talbot and 14,331 in Swansea. Incontinence can have a big impact on an individual’s ability and confidence to live a normal live. In Western Bay it is estimated that in 2020 approximately 18,208 people aged 65 and over will have a bladder problem , at least once a week. A total of 5,012 in Bridgend, 4,955 in Neath Port Talbot and 8,241 in Swansea. There are a total of 11 GP clusters in Western Bay/ABMU Health Board and a total of 77 GP practices. Across Western Bay services for older people with mental health problems are generally provided for those over the age of 65, though the service provided is needs led and younger people can also access the service. The number of adults aged 65 and over receiving mental health services (whole year). Community based services include rehabilitative/intermediate care services and are provided to patients, generally older people, to help them avoid going into hospital unnecessarily. The Reablement Team delivers a programme of assessment and therapy to enable people, as far as possible, to regain their skills and independence together with providing an appropriate level of support with day to day needs. As at 31st March 2015, a total of 837 people aged 18+ received reablement services in Western Bay. Direct payments are cash payments given by the council to people who have assessed social care needs to give them more choice about the type of assistance they receive.